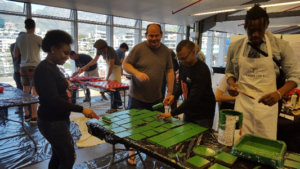 IDC Nelson Mandela Centenary Projects – It’s a wrap! 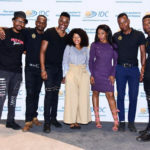 Home > CSI > CSI Latest News > IDC Nelson Mandela Centenary Projects – It’s a wrap! Sterkfontein Hospital – The IDC Employee Volunteering Programme offers staff different volunteering opportunities throughout the year. In 2018, the call by the Nelson Mandela Foundation, was one activity that attracted most volunteers. 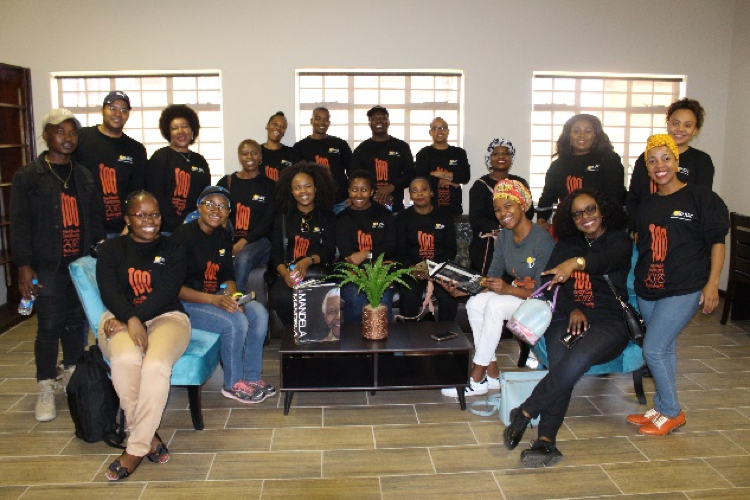 Last year, in response to the centenary’s theme, “Be the Legacy” the IDC team took on a four-month project, which started in July at Sterkfontein Psychiatric Hospital. Throughout the programme, IDC regional offices supported 20 worthy causes in their provinces. 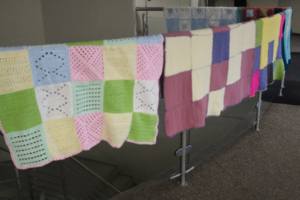 In addition, four organisations which support orphaned and vulnerable children benefited from the blankets knitted by the IDC Knit-wits for the ‘Blankets for Madiba’ project. As October marked Mental Health Awareness Month, on Thursday 25th October 2018 the IDC volunteers handed over the new Occupational Therapy and Sports Facilities at Sterkfontein Psychiatric Hospital which were renovated by IDC in partnership with the S.A Medical & Education Foundation (SAME), the Gauteng Department of Health and the Nelson Mandela Foundation. The Occupational Therapy library is one of the facilities which was renovated. As part of the project, the team also hosted a book-drive for the hospital’s library. In partnership with the IDC Facilities Department, the project received additional support led by the maintenance team from an IDC construction service provider (Mosupa Tsela Trading (Pty) Ltd) which had 12 staff members volunteering for one week to paint and fix the gutters at the Occupational Therapy facility as part of their Mandela Day programme. 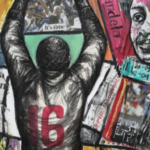 Another collaboration was welcomed, which took place at the sports facilities where a bright mural of the Nelson Mandela Centenary symbol was painted by artists from the Revulsion Art Gallery. These are artists that have previously exhibited at the IDC gallery. The IDC Regional Offices identified organisations within their provinces who also benefited from IDC’s support. 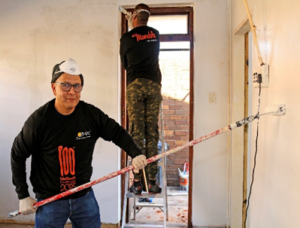 During Mandela day, volunteers could reach out and made a significant difference by meeting the gap while also spending time with the beneficiaries of the organisations. Bophelong Care Centre and Seochoareng Assisted Living Centre were visited by the North Cape Office where IDC volunteers fixed their plumbing which included installing new geysers and toilets. 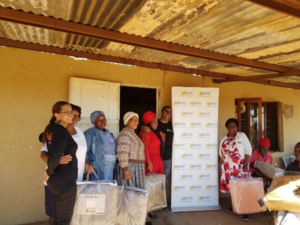 The Mpumalanga regional offices visited six centres where they donated mattresses, chairs, tables, laptops and educational equipment for the beneficiaries and even went on to cook for them and painted their facilities. 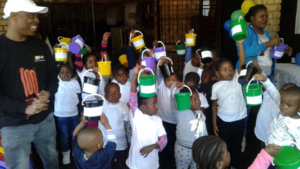 The Western Cape office visited two organisations where they sponsored educational programmes and therapy/support programmes who will benefit the communities of Pinelands and Plumstead. 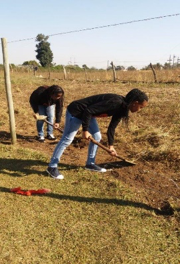 The Eastern Cape offices visited three organisations where volunteers planted trees, handed over food equipment & garden supplies, participated in one of the soup kitchens and bought water tanks and fencing. 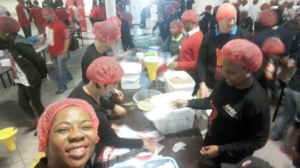 For the first time the Port Elizabeth office participated in the meal packaging event hosted by Rise Against Hunger where meals were packed by IDC volunteers in Boardwalk Port Elizabeth. 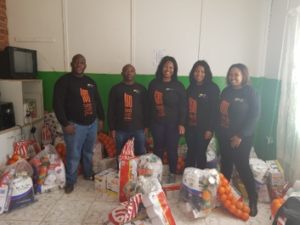 Tshidisanang School for the disabled was graced by the Free State office volunteers as they bought food parcels, toys and paint for the school. Nothing could beat the smiles & joy on the children’s faces at the Sacred Heart Children’s Home as volunteers from the KwaZulu Natal office prepared lunch for them, cleaned the facilities and ended off their day by playing the after-school games with them. 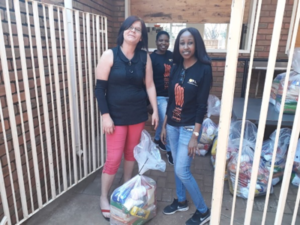 The Polokwane office volunteers spent their day at Suid Afrikaanse Vrouefederasie where they donated food parcels that benefited 30 families while they also cleaned and cleared the store room. The North-West office’s Nelson Mandela day project complemented the head office’s legacy project where building materials were donated in partnership with IDC clients Safintra donated roof sheeting, Robmeg donated the window and door frames and Jabu Manana Brick Manufacturing (Pty) Ltd) who also donated 12 000 bricks for the construction of admin block and kitchen at Rekakgona Old Age Care Centre in Letlhabile near Brits. In addition, 25 blankets, 4 Heaters, 4 plate electric stove, and 20 litres Urn were also donated to the centre. The team went on and cooked three meals (breakfast, lunch and supper) and close it off with some fun games with the elderly. “It was a very humbling experience. It made me realise how quickly we forget our Elders and how they can be neglected when forgotten. The Centre lacked the most basic of facilities and needs such as food.